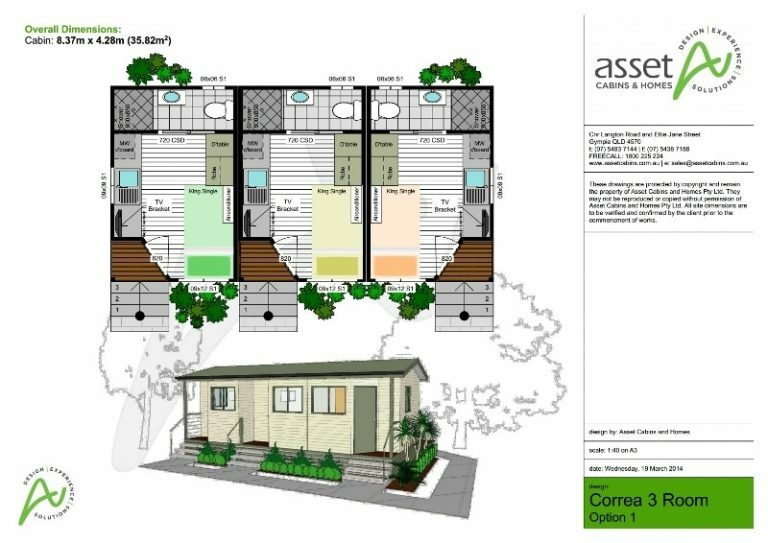 Correa 3 Room – Option 1 is a three-person relocatable cabin suitable for mining/worker accommodation. 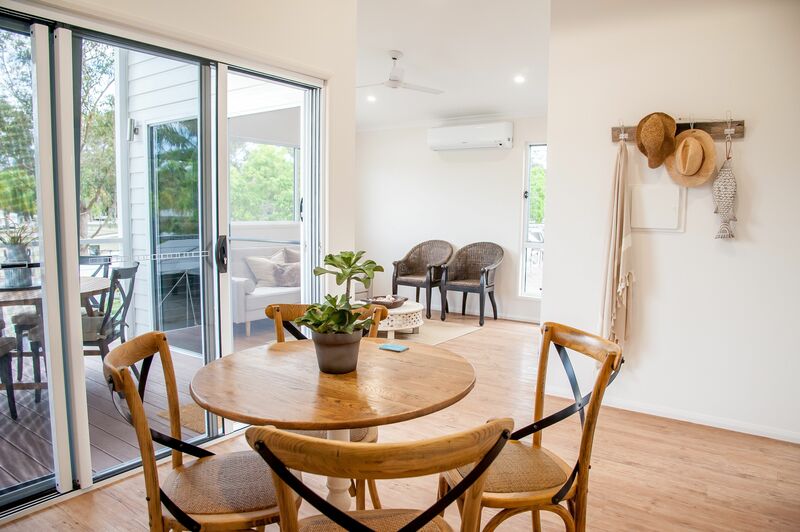 The cabin comprises three compact self-contained units, each with a bedroom, kitchen facilities and bathroom. The bedrooms feature a king-single bed, built-in wardrobe and dressing table, while the kitchen areas have a sink, microwave oven, bar fridge and wall-mounted TV. The ensuites have a shower, toilet and basin. Note: For a larger version of this cabin see Correa 3 Room – Option 2, and for versions with more rooms see Correa 4 Room – Option 1 and Correa Five Room.